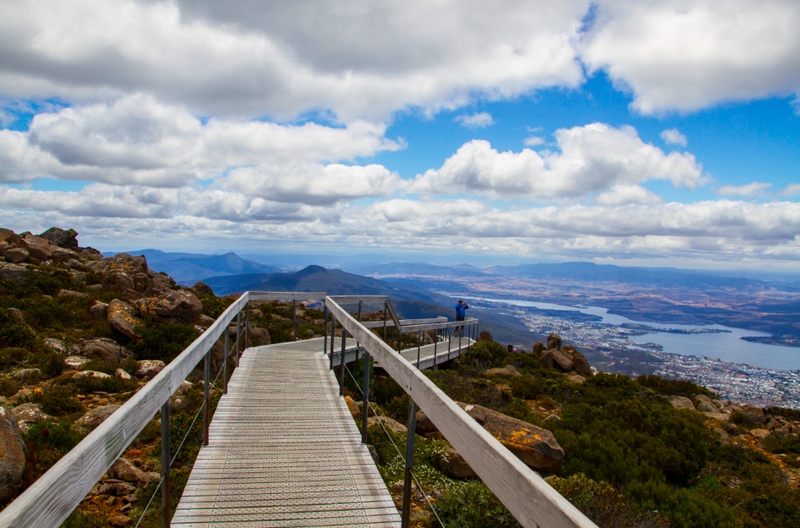 Tasmania is home of incredible landscapes, wildlife, taste and art. Here is what you shouldn’t miss. 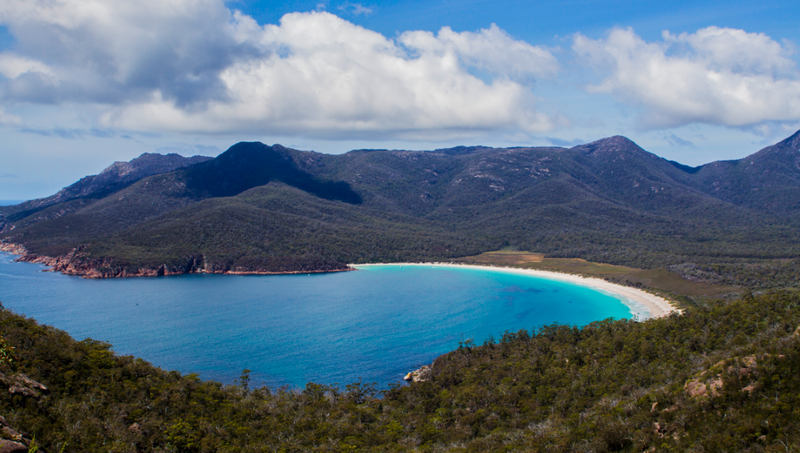 Wineglass bay is definitely the place to go if you are traveling Tasmania but if you are a real traveler, don’t walk the only 45 minutes to get to the look out or the next 30 minutes to reach the beach of Wineglass. 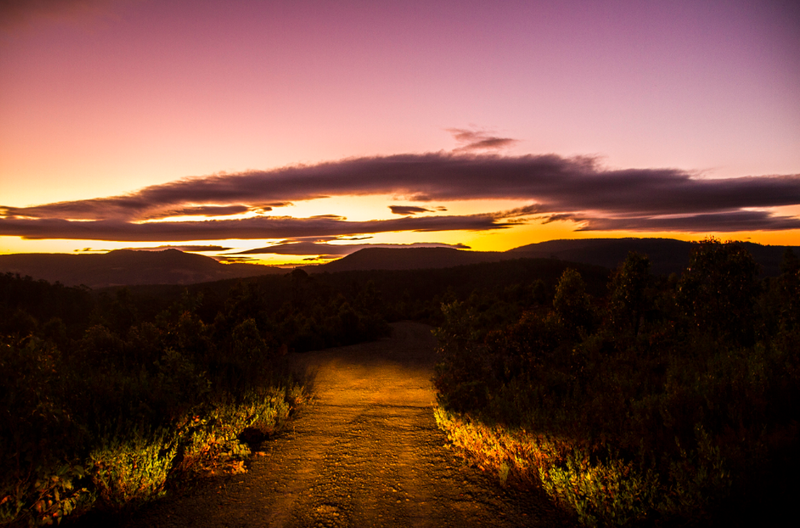 Keep walking, explore because the best place is further into the National Park. 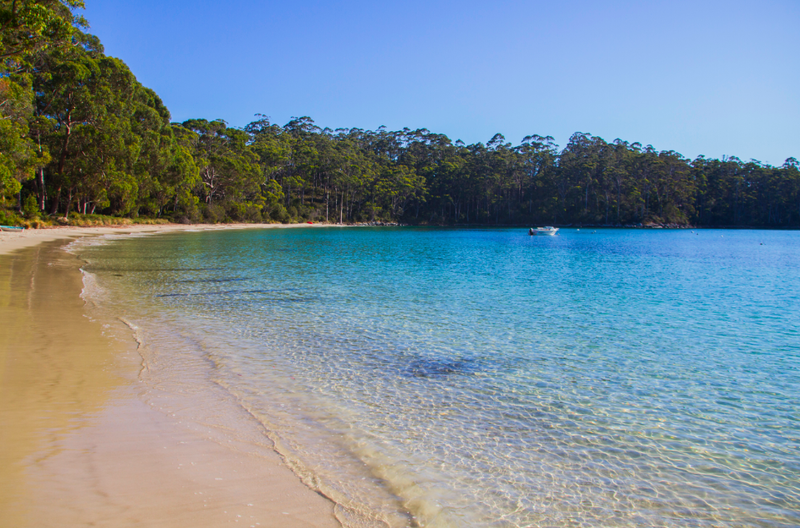 The desert and paradisiac place of Hazard Beach will make you feel special and the 4hours walk along the coast are stunning. 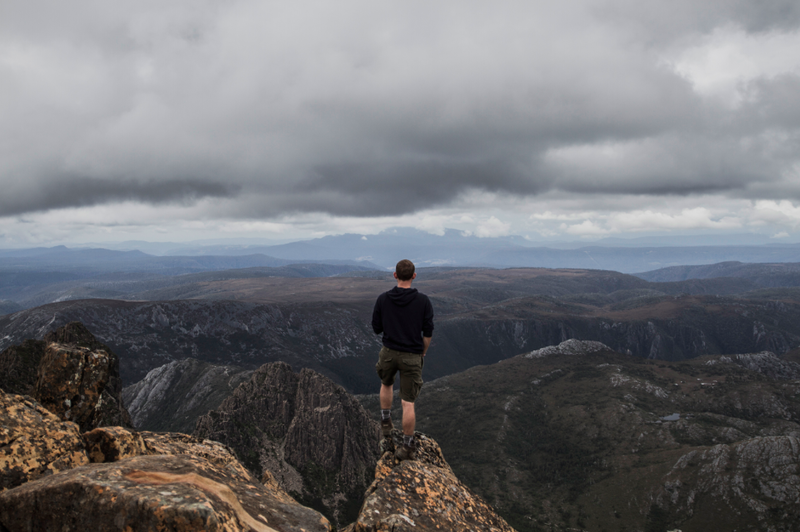 While you arrive at the Cradle Mountain National Park, you will have different options to enjoy your day. The first one is to follow the walk path and stop at every look out around the Dove Lake. An other option (better) is to walk, hike and even ‘climb’ on longer tracks. Take plenty of water and food, this tracks could take you into a 8/10 hours trip. But it definitely worths it. 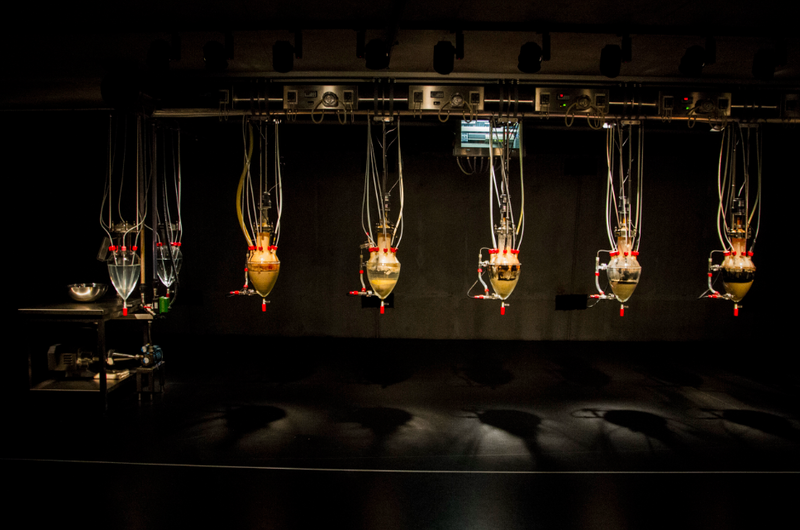 The Museum of Old and New Art is described by its owner as a ‘subversive adult Disneyland’. Artworks are controversial, thought-provoking, quirky or even crazy. You could like them or hate them, but they will transport you into an other world. 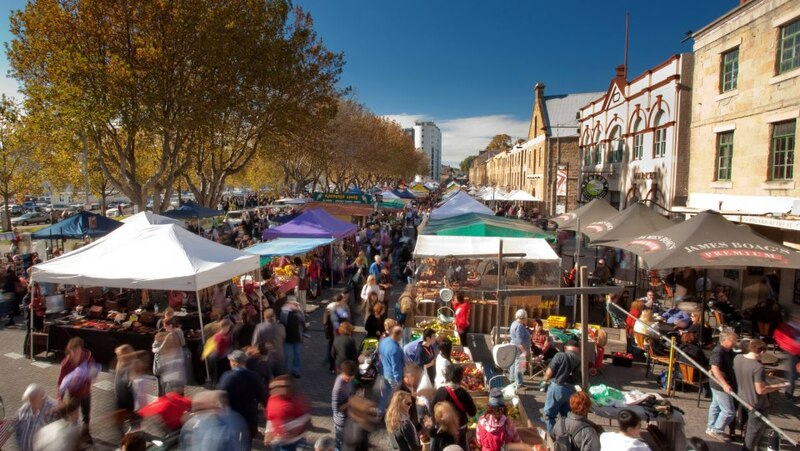 The Salamanca Market is taking place in Hobart every saturday from 9am til 3pm. The atmosphere is awesome. Walk from stand to stand, taste, try, smell, … Open your senses. 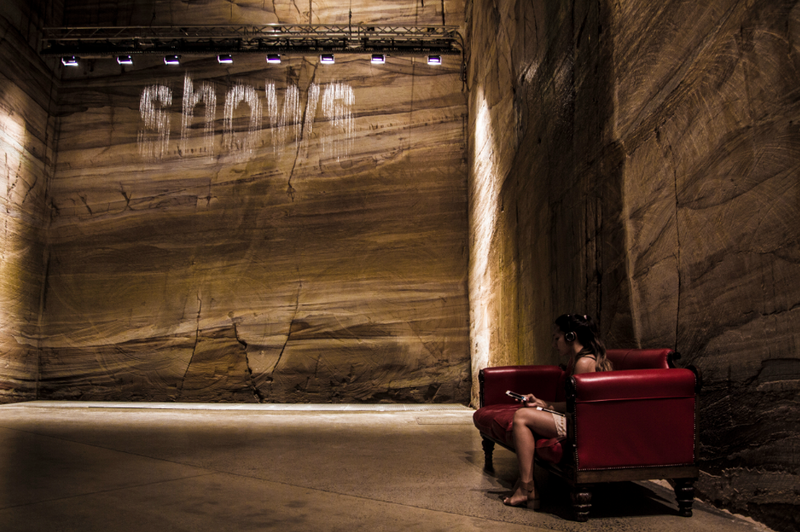 The Cave is a must if you are around Port Arthur. On the way to the cave, you should stop at different points to enjoy the coast. When you get there, the look out at the top is literaly breathtaking. 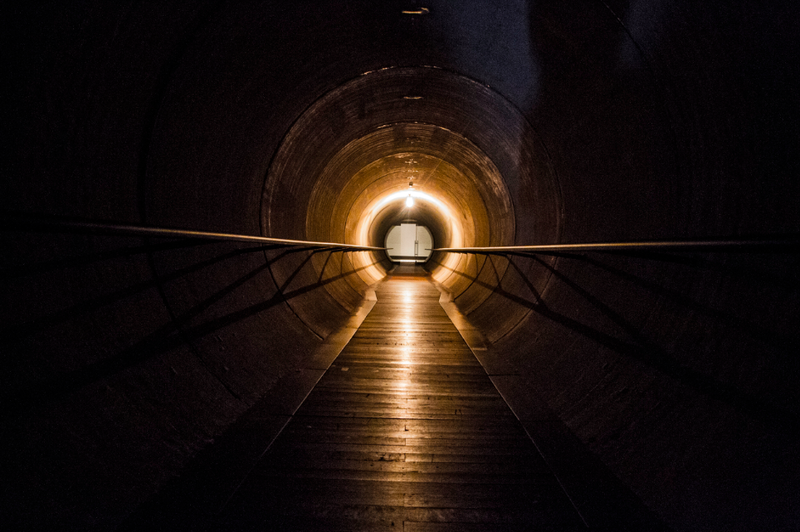 Then take the stairs and explore the remarkable cave. 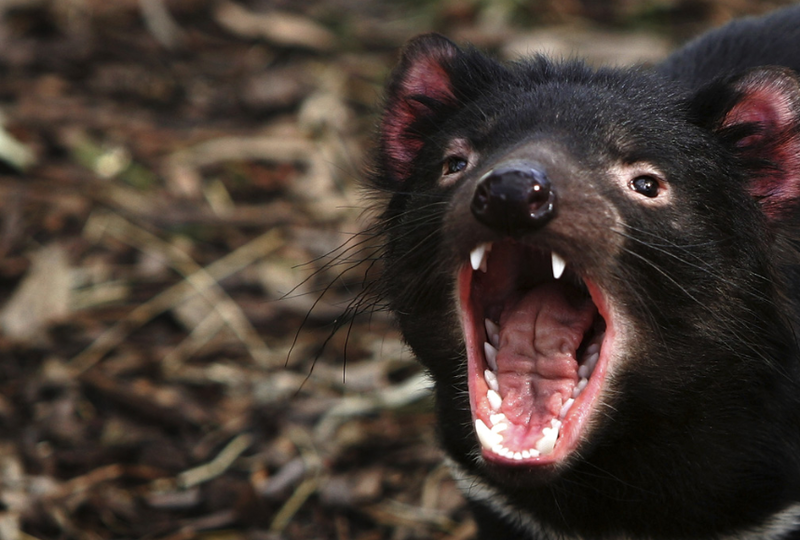 How to see the Tasmanian Devil ? If you don’t have the time or don’t feel adventurous, you always can go to a zoo. 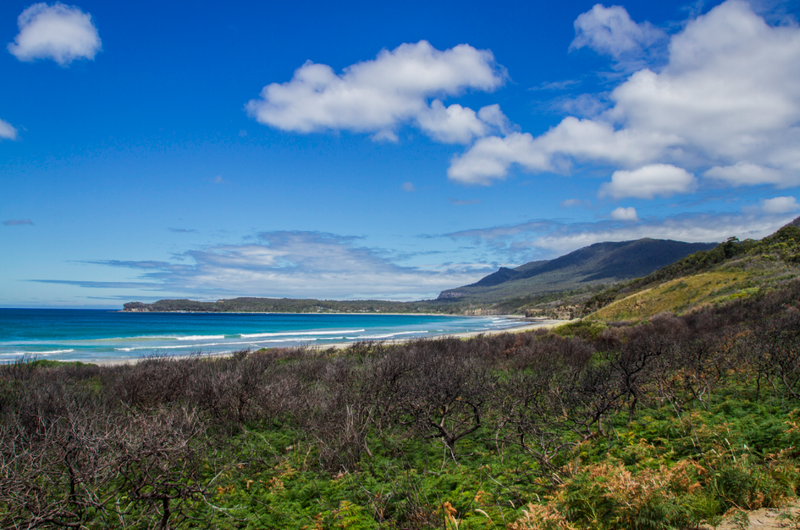 If you feel like exploring a National Park, Tasman National Park is full of Devil of Tasmania and even the pademelon. You just have to be lucky or have some time. The best moment is after sunset. 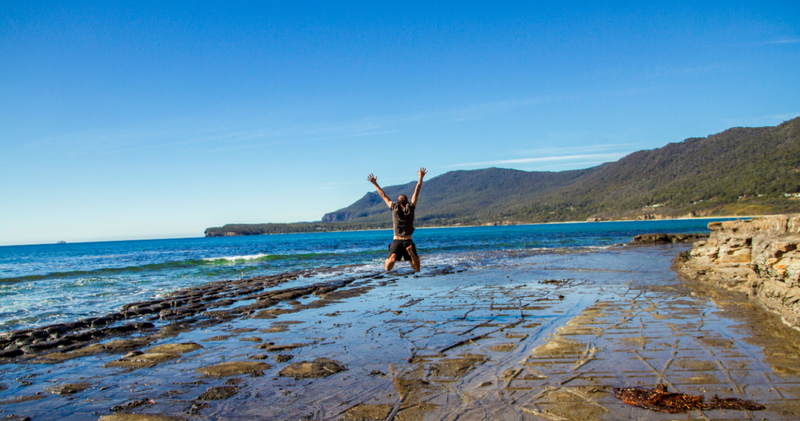 Eaglehawk Neck has different beautiful spots to check out. 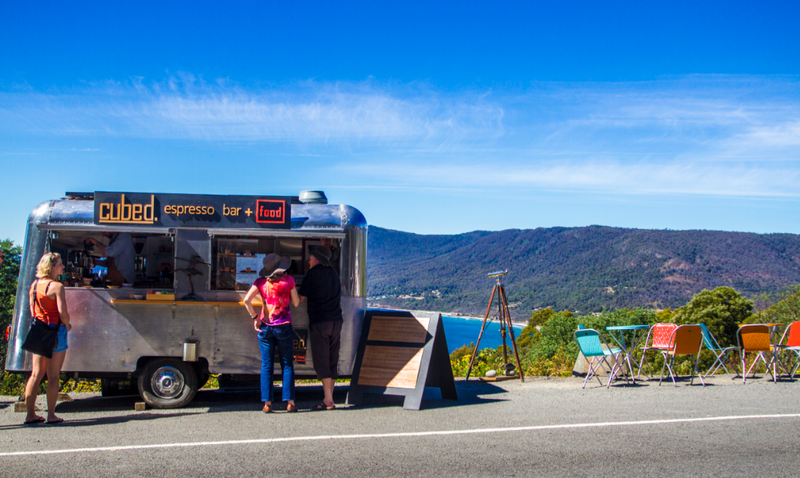 But, you should start your day by taking a cup of the best coffee of Tasmania at the Cubed Expresso Bar (Click here for the adress : https://goo.gl/Ic28hf) and try one of their wonderful handmade sweet and savoury treats. The most popular of the spot at Eaglhawk is the Tessellated Pavement (go early in the morning or late for sunset, otherwise its crowdy) which is a natural rock formation. Then drive along the coast on Blowhole road and stop at anytime to take great pictures of the beach. 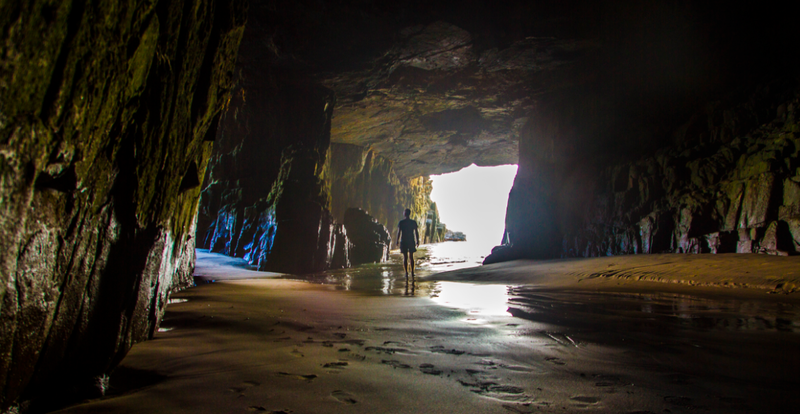 Reach the Devils Kitchen and have a look at The Tasman Arch and the cliffs. 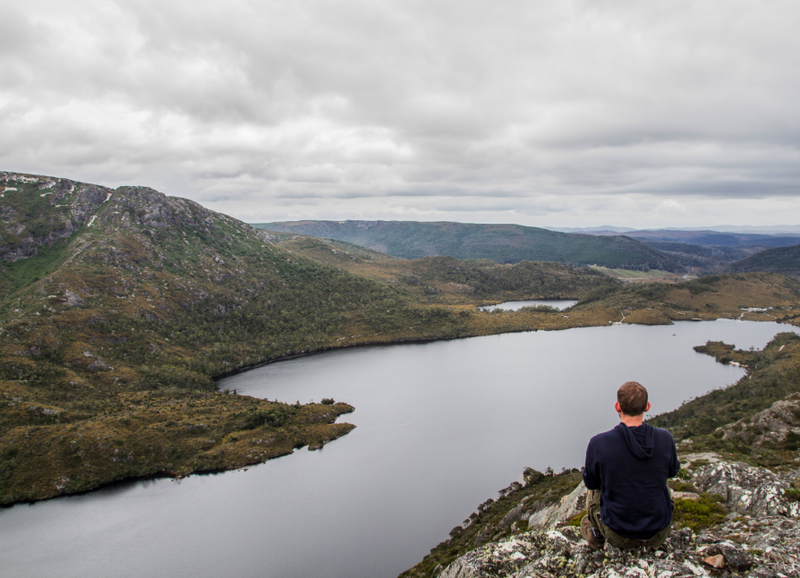 If you like camping, here is the best place to camp in Tasmania. It’s free (if you bought the National Park Pass, which give you access to any National Park in TAS) but you have to come early to get a spot. This campsite is literaly 20 meters from the beach and full of wallabies. 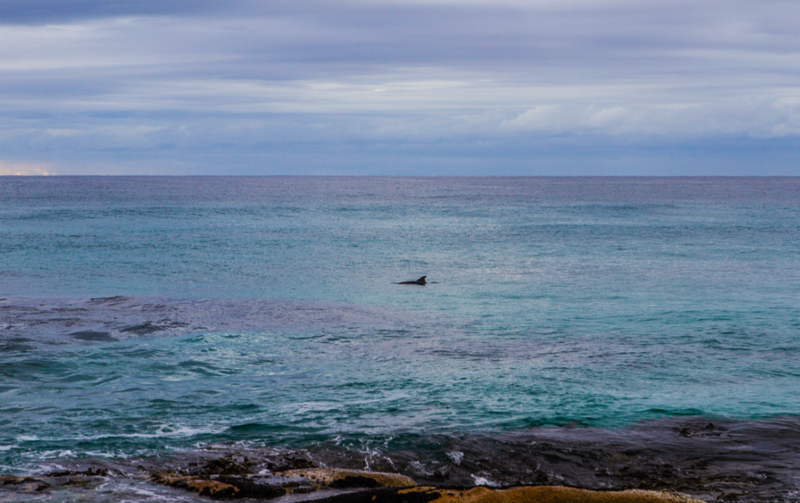 More exciting, if you wake up early in the morning, you could be lucky and see dolphins swimming along the beach. 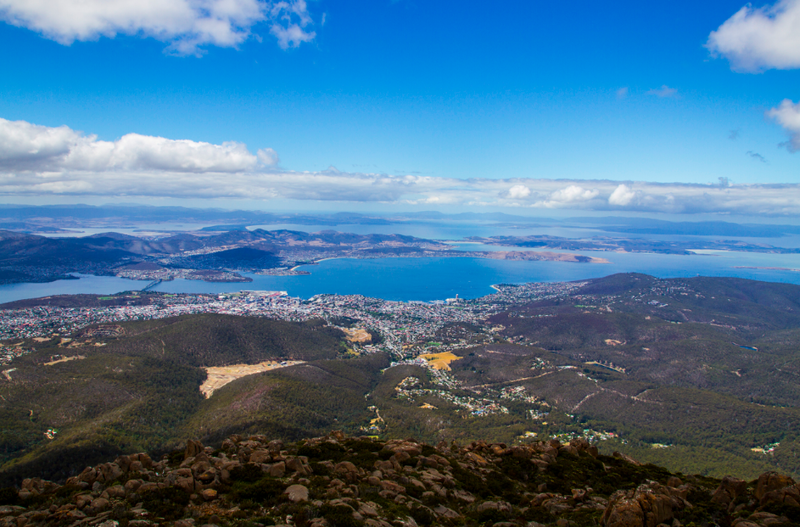 About 45 minutes drive from Hobart, the Mount Wellington will give you a terrific view on the city and more. 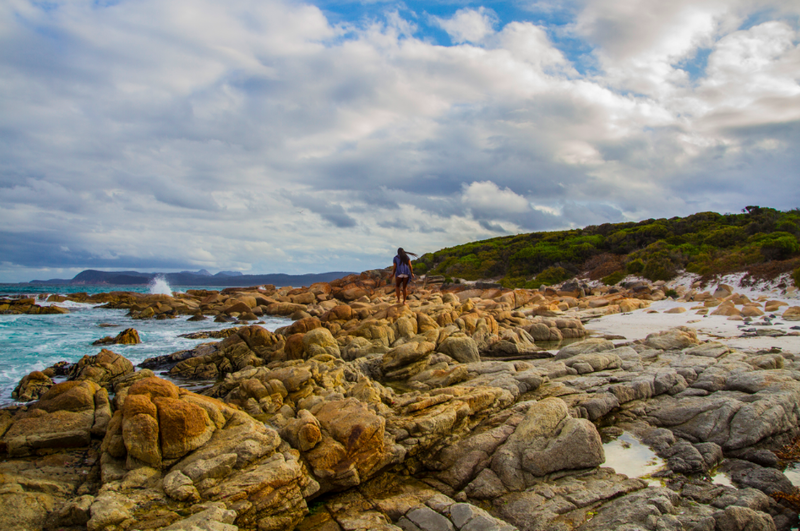 If you like taking great pictures, you will love this part of Tasmania. Only 30 minutes from Hobat, this place offers a great view on the city at night. 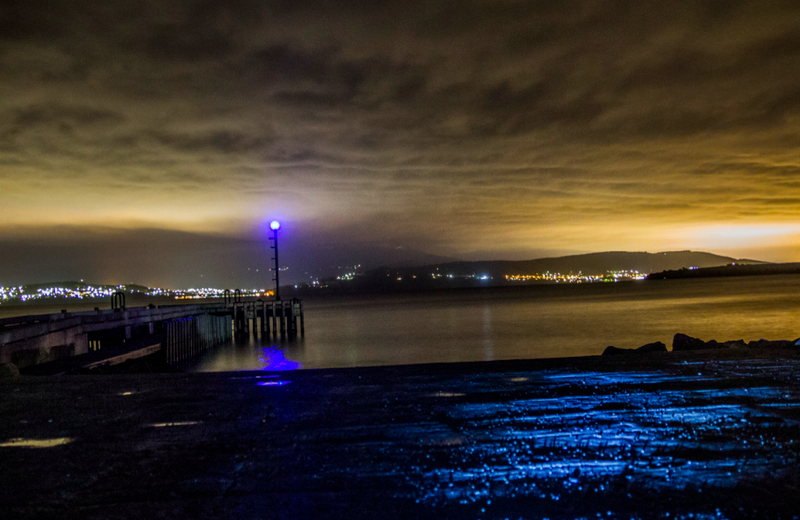 In a cloudy night the sky will be orange because of the lights from Hobart, and in a clear night the milky way will appear. 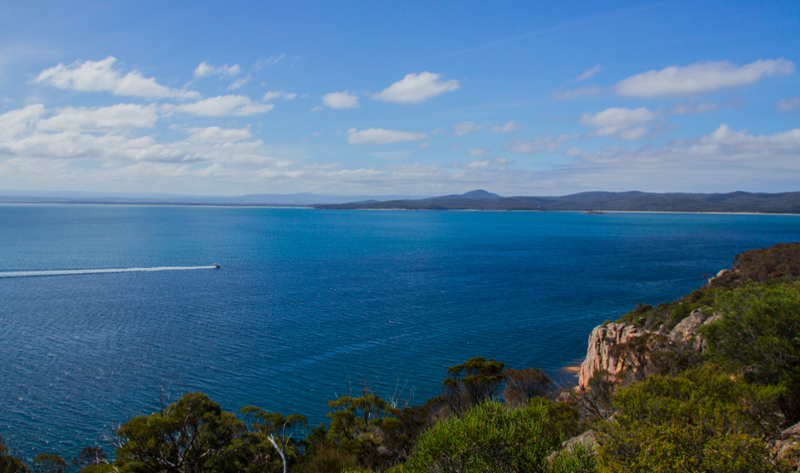 Tell me, where is your favorite place of Tasmania ?